Instagram has become a big obsession of mine, I love taking photos so it is perfect! I make sure my iPhone is in my hand all the time so I'm ready for an photo-worthy opportunity! Sometimes my mum comes home with things stating "this would be perfect for Instagram". I recently got featured by Instagram on the 'suggested users' page which was really cool and I got over 14,000 followers in a week - ah! They also sent me a book about the Instagram community to say thank you - which is pretty awesome! I decided to do a post with a few tips I have for Instagram. Having a 'theme' - not everyone on Instagram has a theme but I always find that accounts with themes are the ones I am most drawn to. 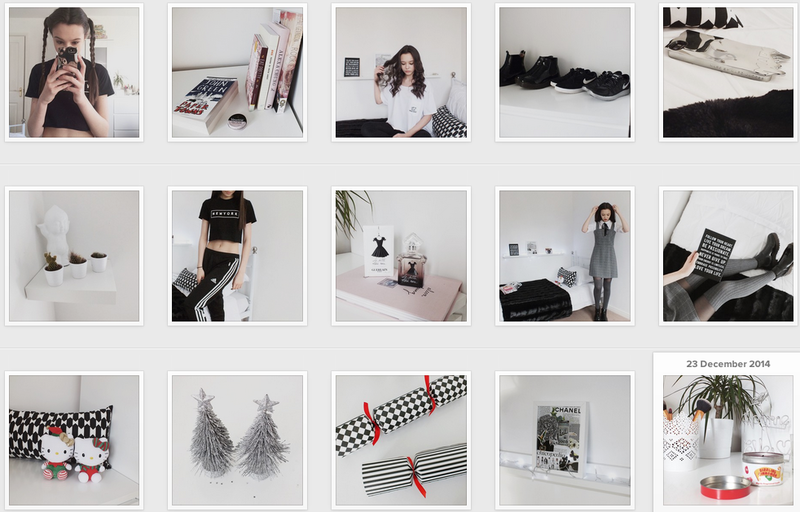 Basically, having a theme is when all your photos are somewhat similar, whether that's using the same effect, having a white background, everything being black and white - it's completely up to you! Pose, stage, fake your photos. If you're a photography account like mine - your photos don't have to be real! I'm sure I've refilled empty bottles before, or took a photo of my mums food not mine, or rearranged my stuff to fit my photo. As long as the photo looks good, it's fine. I could be walking down the street and see something I like then BAM it's on my Instagram! I've also created a second account where I post personal photos like with friends, bad lighting.. you get my drift. Lovely tips, im obsessed with instagram haha! Congrats on all the followers! Yeah your feed is perfect :) My insta is really personal so I don't know about a theme! Great tips! I don't have instagram at the moment but I keep meaning to make an account. The only thing that really holds me back is that you can only upload photos via your phone and I only really take pictures with my camera.